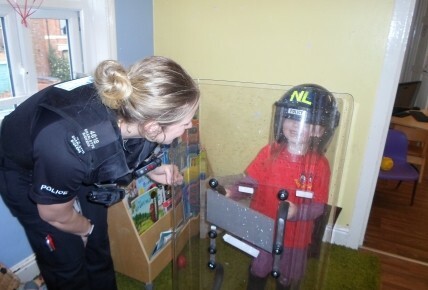 Today was a very exciting day for the children here at Busy Bees in Loughborough as our local Police officers came to visit the children to talk to them all about their job and what they do. 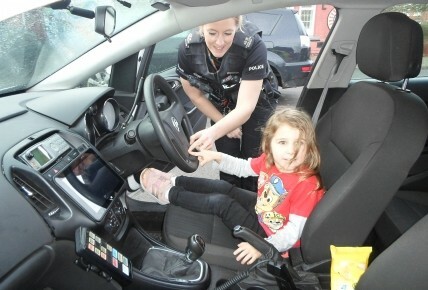 In small groups the children went outside to see the police car, they were able to press the different buttons to make the lights and the sirens work and were able to sit in the back of the car. 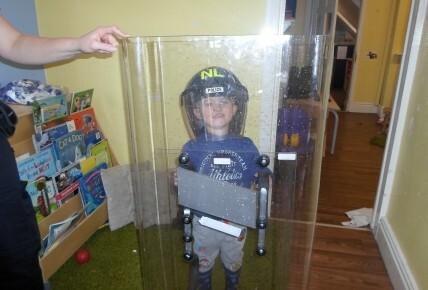 The Police officers then bought lots of different equipment and uniform inside for the children to explore. They tried on different hats and also got to try on the riot uniform. 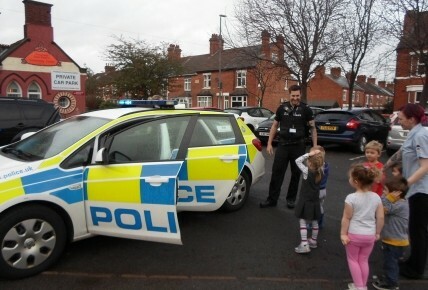 The Police officers then spoke to all the children and showed them the different equipment that they may have to use. 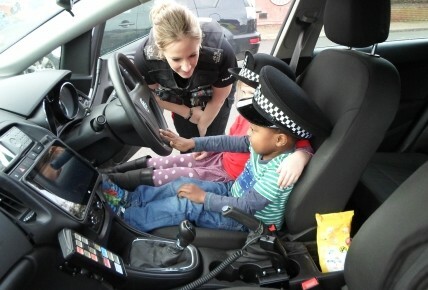 They also got a very important message across to the children which was to ensure that if they needed help or were lost then they could go to a police officer for help. The children and staff would like to say a BIG thank you to the Police officers for coming to visit us.